Consumers today have nearly limitless options when shopping online. 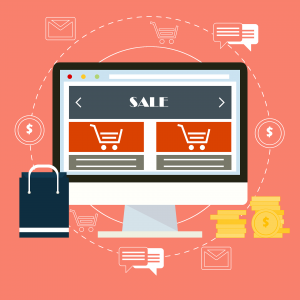 The e-commerce playing field is constantly growing, with platforms like Shopify, Magento, BigCommerce and others making it easy for just about anyone to sell items online. Up-and-coming retail sites end up jockeying for high search engine rankings and greater market share. The first instinct of most e-commerce businesses is to distinguish their stores through search engine optimization (SEO). Perhaps the easiest and cheapest way to do this is through the creation of organic SEO product descriptions. Optimized keywords give budding sites a boost when it comes to search engine results pages (SERPs), helping to drive traffic and attract potential customers. At first, SEO-enabled product descriptions might seem like they’re working well. Visitor traffic goes up, on-page stats start to rise and SERP rankings increase. But unfortunately, these are not the primary metrics with which store operators need to be concerned. Conversion rate, average checkout total, abandoned cart rate and other factors are key benchmarks. If you are only relying on SEO keywords to sell your products, these metrics will not improve. And neither will your bottom line. We must keep in mind that while Google’s bots may like your keywords, your shoppers are looking for something more. They want product descriptions offering extended information and enticing them to purchase. Informative product descriptions help customers truly understand the product they are considering. Thus, they can play a vital role in nudging a customer towards a purchase. Just like no one wants to read through a list of keywords, shoppers don’t want product descriptions that are blocks of text filled with dry, technical specifications. It’s paramount to connect SEO terms and critical information with some finesse. This comes down to creating benefits-driven content. Vivid descriptors, qualitative explanations, subtle sales language and an authoritative tone all make SEO product descriptions more effective. The result is a sales pitch that invites a mulling customer to buy without a second thought. Here, it’s important to entrust product description writing to copywriters with a full understanding of the task at hand. Informative content may be too dry, while copy that’s too promotional can be off-putting. An experienced content writer blends all facets of product specs and information to deliver quality SEO product descriptions. In short, strong product descriptions are critical to e-commerce success. Besides serving as your SEO anchor, they’re also part of your sales force. They answer questions, preempt sales, offer solutions and highlight product benefits. Whether you’re writing descriptions yourself or you are hiring an experienced product description writer, remember the golden rule: optimize for bots, write for people.